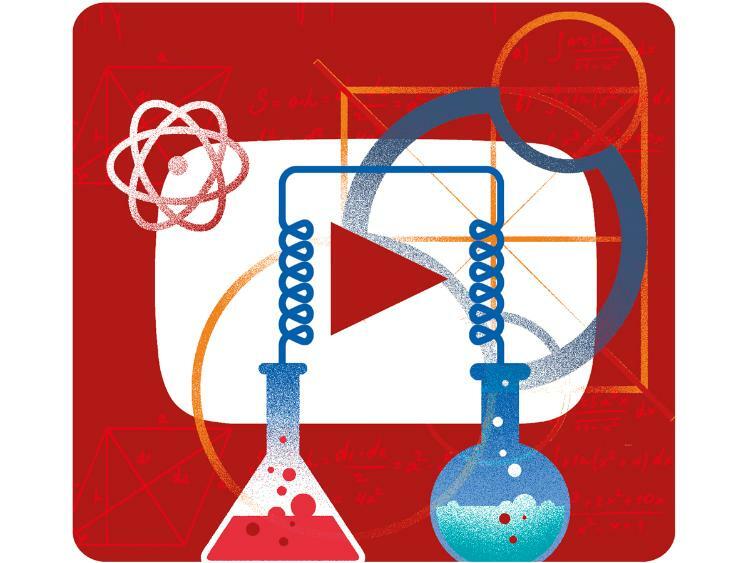 YouTube has long had a reputation as a hive of conspiracy theories, misinformation, and pseudoscience. All these accusations are, more or less, true — if you’re vulnerable to the wooing of Flat Earthers, anti-vaxxers, 9/11 truthers, the alt-right, and every other sort of lunatic fringe flourishing in 2018, they’re all there, waiting for you on YouTube. But as with all the other “platforms” that dominate the internet — Facebook, Twitter, Reddit, etc — YouTube is more than a morass of anti-scientific nutters. The site is also home to much of the web’s best and most compelling popular science content. Like pretty much everyone, I studied science and maths for the first few years of high school and eventually pursued chemistry and maths right through year 12. I found the concepts involved fascinating, but I was never much good at the actual work. I was less interested in learning how to solve quadratic equations than I was in why quadratic equations could be solved. What I wanted, I guess, was popular science. And one day a couple of years ago, tooling around on the internet while I should have been working, I found it on YouTube. My YouTube rabbit hole started with Numberphile, the maths-based channel that forms part of Australian videographer Brady Haran’s YouTube empire. (Haran also has channels on chemistry — hosted by the splendidly coiffed Sir Martyn Poliakoff — physics, computer science, food science, and many other subjects.) Suddenly, I’d found something I never knew I wanted: a channel that explained fascinating mathematical concepts in a way that was accessible and entertaining, and didn’t require me to complete two hours of tedious homework.From there I found the channel that I think perhaps best exemplifies the virtues of YouTube pedagogy: Grant Sanderson’s maths channel 3Blue1Brown. Sanderson’s soothing voice and the lovely self-penned music that accompanies his narrations are appealing enough, but the real draw of his channel lies in its animations. Sanderson codes them all himself in Python, and the result are images that are beautifully intuitive, providing visual explanations for concepts that in high school were just abstract symbols on a yellowing page. On his website’s “about” page, Sanderson says that what really excites him is “finding that little nugget of explanation that really clarifies why something is true, not in the sense of a proof, but in the sense that you come away feeling that you could have discovered the fact yourself.” For himself, he says, “the best way to force yourself into such an understanding … is to try explaining ideas to others”. For me, it’s seeing how and why those ideas work — quite a revelation in itself, because I never considered myself a visual learner at school. It’s not just mathematics that benefits from the possibilities for visual illustration that YouTube allows. If you search, you’ll find people who take similar approaches to physics, chemistry, biology, electronics, along with a heap of generalists who address all these topics and more. Some of the channels are pleasantly DIY, like Looking Glass Universe, presented by a nameless Australian physics doyenne who illustrates heavy-duty quantum mechanical concepts with hand-drawn stop-motion animations. Some are one- or two-person operations, like astrophysicist Nick Lucid’s The Science Asylum, which uses an ongoing storyline about a mad scientist and his army of clones to provide entertaining and remarkably concise explanations of a variety of physics-related subjects. All these channels — most of them funded by Patreon or just paid for out of pocket by their creators — add up to a remarkable ecosystem of knowledge, all available for free. It remains very much open to question whether YouTube is, on balance, a force for good or not. But it’s really heartening to know that there are so many new and engaging resources out there for kids like me, who wanted desperately to understand science, but for whom the way it was taught at school never, for whatever reason, quite clicked.